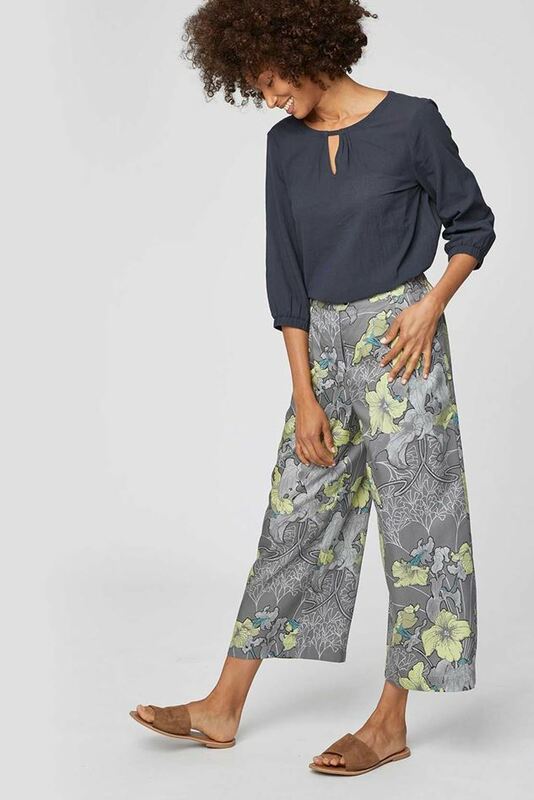 In a smooth, non-stretch Tencel fabric, these exclusively designed floral print culottes look smart whilst remaining comfortable. In a cropped, culotte shape they feature Thought's signature, easy-fit waistband, practical side and back pockets, a button and zip fastening, and pleating making them easy to wear and feminine. In a smooth, non-stretch Tencel fabric, these exclusively designed floral print culottes look smart whilst remaining comfortable. In a cropped, culotte shape they feature Thought's signature, easy-fit waistband, practical side and back pockets, a button and zip fastening, and pleating making them easy to wear and feminine. Pair these Tencel culottes with our matching top for an eye-catching look or dress them down with a plain tee. 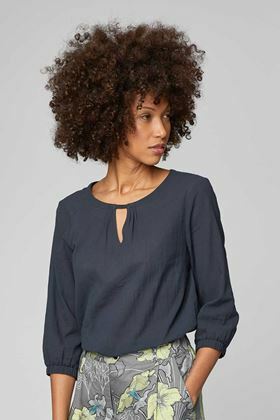 Available in two, new-season colours this luxuriously soft organic cotton top is what Thought like to call an outfit-builder. Designed to be worn with anything in the collection, this boxy top features key hole details at the neck and smart, cropped length sleeves.